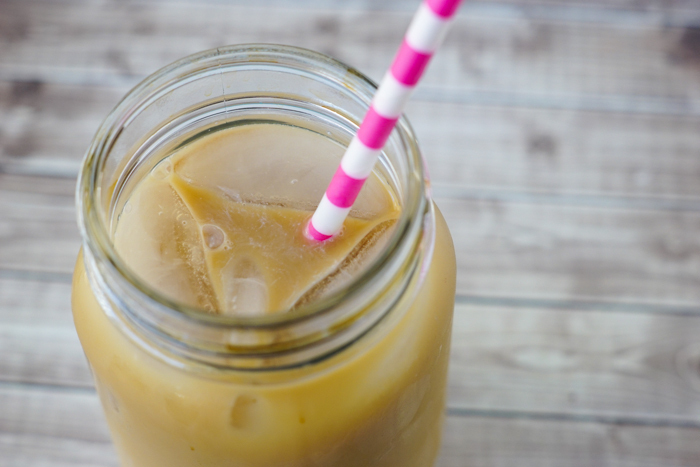 Have you had cold brew coffee yet? I’m not normally a cold coffee type gal but with the Summer heat already here, I may convert. 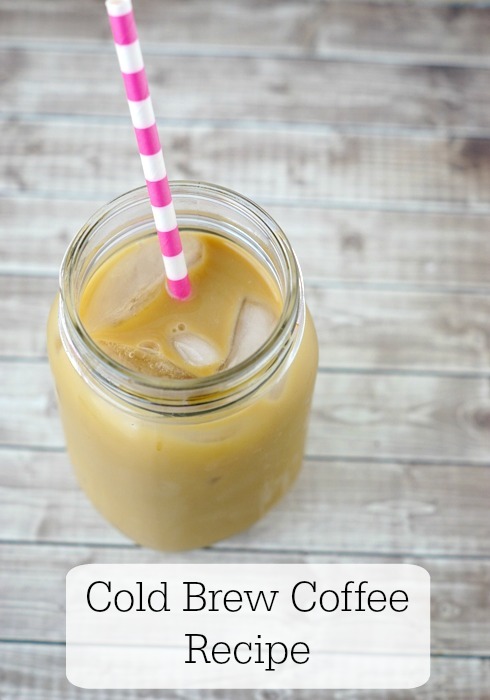 I have made a few batches of this cold brew coffee recipe and I was surprised how easy cold brew coffee is to make! Many say the reason to drink cold brew coffee is because it has a lesser acidic taste and it doesn’t ever have that burnt taste to it. Cold brew coffee is great to keep in the fridge for about a week and the great thing about it is it’s a concentrate. This means you only need a little bit for that coffee taste and pick-me-up! 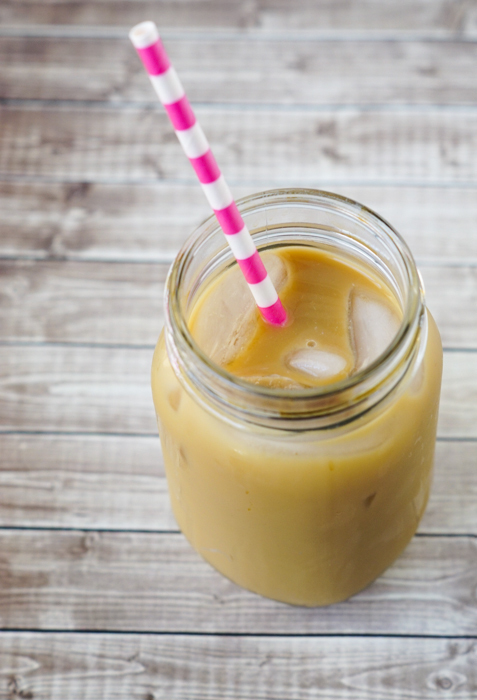 Pour 1 cup of coarsely ground coffee into the mason jar then fill the jar with water. Store in refrigerator for at least 1 day. Strain the coffee with a filter or cheesecloth into a cup, filling the cup only 1/3rd of the way. Add ice then fill the rest with water. Add creamer and syrups and enjoy! 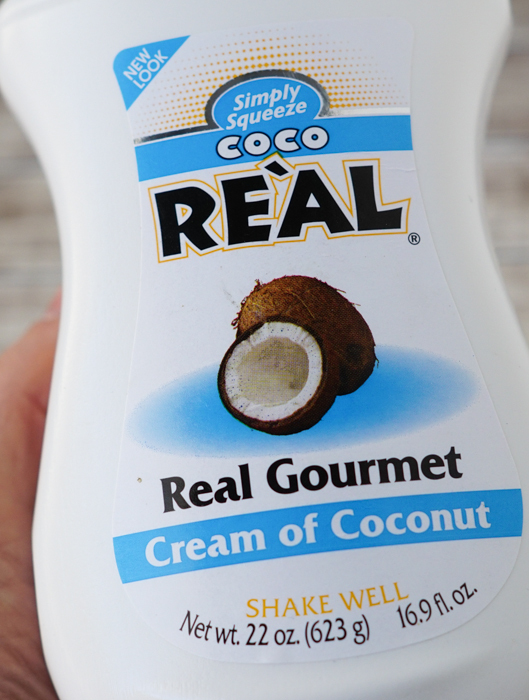 I love making coconut flavored coffee so I’ll usually use french vanilla creamer with a teaspoon of Real Cream Coconut. I liked iced coffee but didn’t realize you could make it this way. What a great idea! This looks delicious! I definitely need to start by buying your suggested grinder. I didn’t know it was this easy to make cold brewed coffee. Definitely going to have to give it a try this summer!